I took advantage of a break in the rainy weather to head up to the park this morning. Rumor had it that there was a small chance of breaking skies so I figured it was worth the bet. The morning sunrise was quiet and calm, and I actually did get a bit more of a show than I expected considering the recent three days of wet rainy mornings. When I left the apartment to head up to the park, the atmosphere had a dark shade of gray and it looked like there was no hope of seeing a sunrise. When I started climbing the hill, however, I saw some hints of light through the backyards of the local homes. As it turned out, there were several patches clearing up above Lunken Airport, but unfortunately the clear patches were not far enough east to allow the sun to make an appearance. Either way, it was a pleasant, but cold – about 42F, morning and my hot thermos of coffee came in handy! A morning like this reminds me of the first few sunrises in early April. I’m eagerly awaiting the arrival of “Fall Back”, when day light savings ends. It’ll be nice to get out for another 7:00am sunrise before winter sets in. Looking out across Lunken Airfield where the sky is showing signs of clearing up. 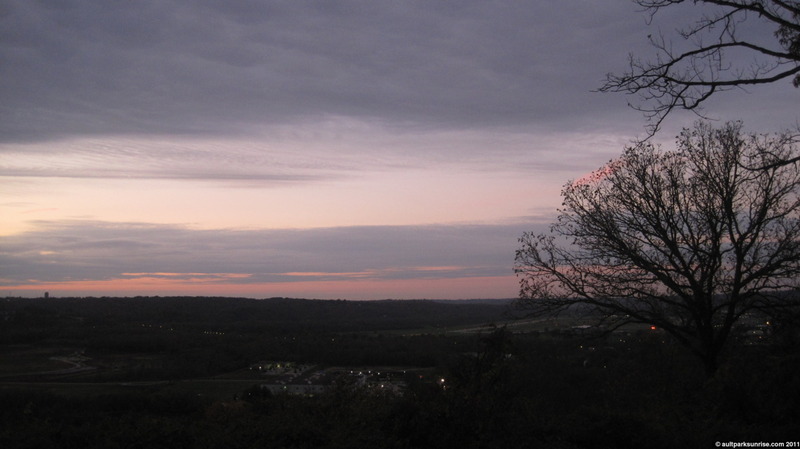 Interestingly enough, the atmosphere did not change at all in the 20 minutes I was at the overlook. There seemed to be no wind at all. 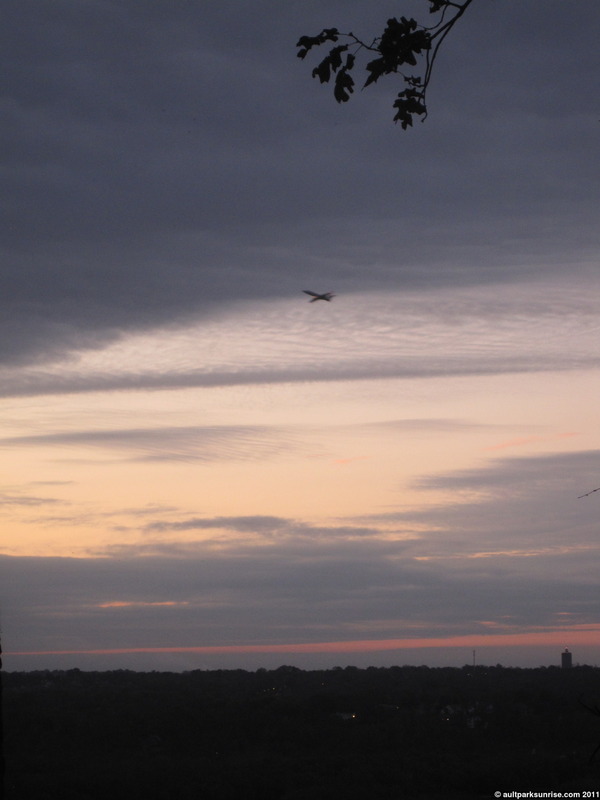 I caught a rather large jet taking off from Lunken as it crossed through the bright patch of sky. 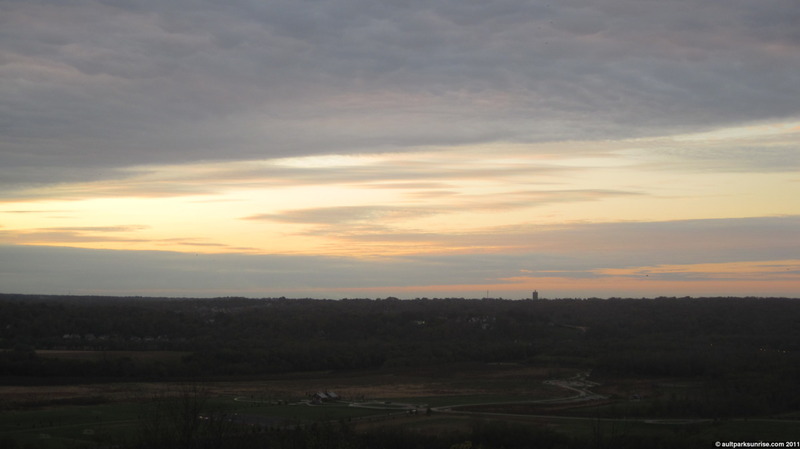 Kind of a weird picture, but I was trying to capture just how dark and gloomy the left side of the horizon was. The sun is lost somewhere in that gray mess. Armleder Park. To the right we can see the Mt. Washington water tower, known for its Art Deco style. 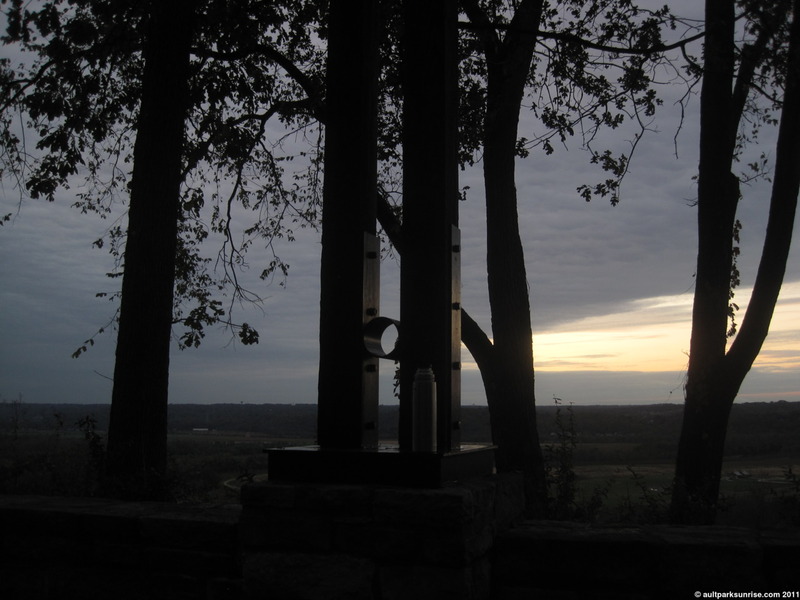 This entry was posted on October 21, 2011 by Ault Park Sunrise. 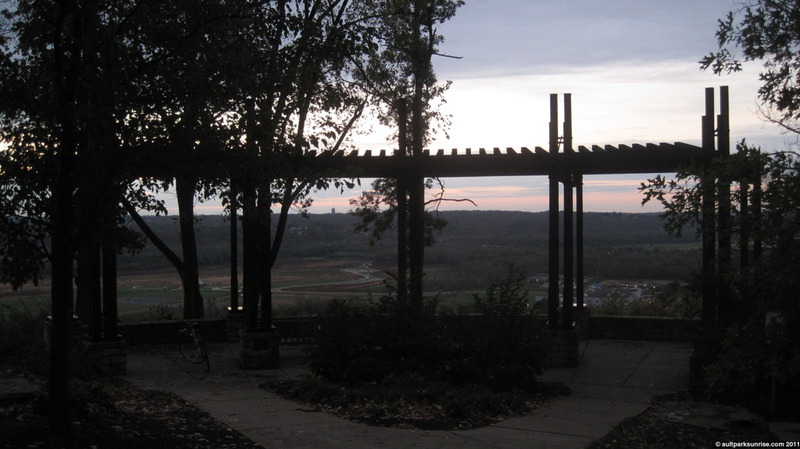 It was filed under ault park, overcast and was tagged with ault park, autumn, cincinnati, cloudy.